Who isn’t a fan of HGTV’s Fixer Upper? You must know at least one person who is. 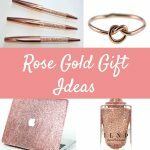 We LOVE farmhouse inspired rustic decor and we channeled that love affair to bring you this gift guide all about farmhouse gift ideas. The farmhouse gift ideas found in this guide have been broken down by room, but some of the rustic decor pieces are suitable for more than one room. 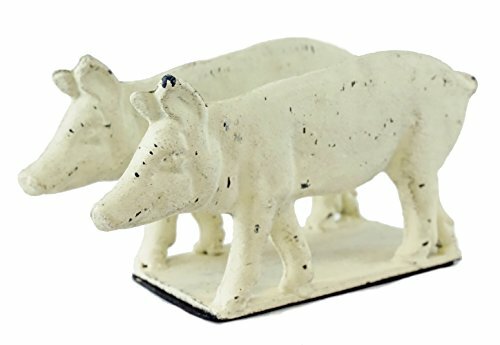 They have been selected to help the farmhouse lover in your life add to their farmhouse look or complete a room. Sometimes it just takes that one piece of rustic vintage decor to make a room. There sure is something so romantic and nurturing about farmhouse decor – it’s almost impossible not to fall in love with the rustic charm. And you certainly don’t need to own a house in the country! These farmhouse gift ideas are perfect no matter where the inspiration is going. 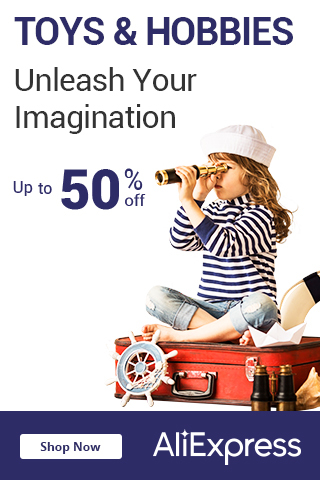 The living room or den in any house can become a catch all for all sorts of stuff. Especially if kids are involved! Who says you can’t get the farmhouse style and be organized? These rustic farmhouse storage baskets are a perfect addition to any living space and add that rustic charm farmhouse lovers are looking for. The farmhouse lover will display these proudly in their space. Anyone who loves the feeling of farmhouse decor knows how nice it is to have some rustic picture frames to display their happiest moments. 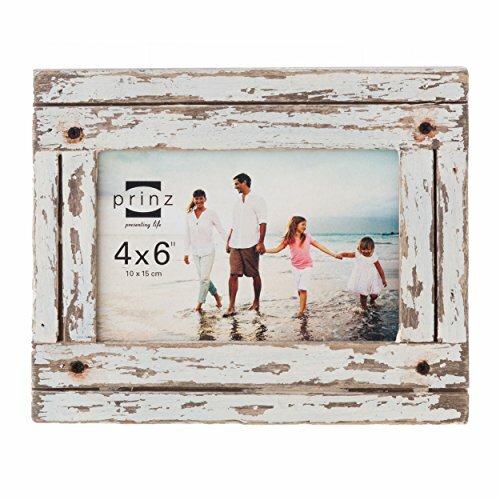 Whether it’s the last family vacation or that photo where the whole family is actually smiling, these rustic white farmhouse frames are perfect for achieving that rustic feel in any living room space. What farmhouse is complete without mason jars and candles? 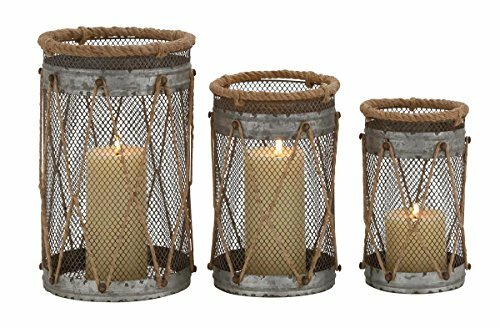 These mason jar candle holders are unique and might be one of the best farmhouse gift ideas. Help your farmhouse lover create a warm and inviting space the whole family can hang out in. Instead of only having mason jars, these rustic jars are covered with metal and rope creating a one of a kind look. A perfect gift idea for the farmhouse lover. Have you seen those pretty, rustic displays of flowers or branches? They look wonderful and are a perfect touch for someone trying to achieve that rustic farmhouse look. 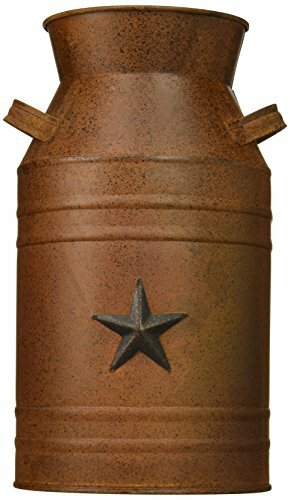 This copper colored milk container is the first step in getting that nice display and is a perfect gift idea for the farmhouse lover. It has that natural, rustic charm that will not only go in the living room, but would look fabulous in a bedroom as well. This gift is awesome farmhouse inspiration. Farmhouse wall decor is an important way to get that farmhouse decor done right. Farmhouse decor is not your minimalist style. Instead, it has a nick knack feel to it and this wall decor will fit in nicely. Any lover of all that is farmhouse inspiration will LOVE to receive this rustic wall decor piece as a gift. 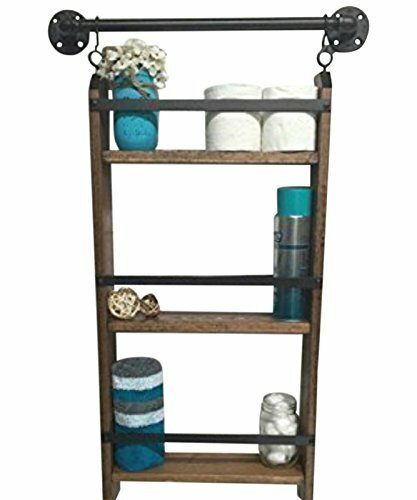 This rustic ladder is perfect in any living space – den for storing blankets or the bathroom for a unique way of hanging the towels. Any farmhouse-inspired space needs to have a rustic ladder display. 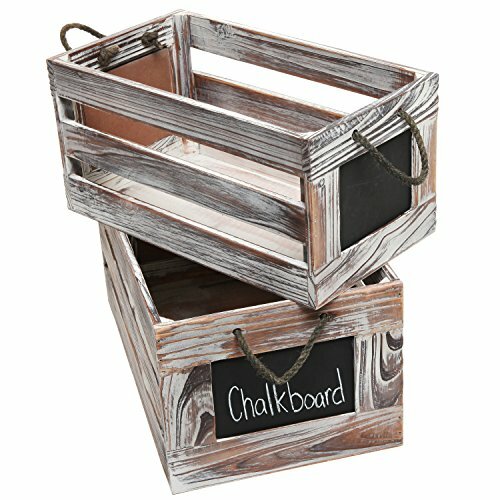 Another take rustic living space storage – these wooden storage bins have chalkboard labels so the farmhouse lover will know what they placed in them. Ideal if what needs to be stored is always changing – just erase and relabel. 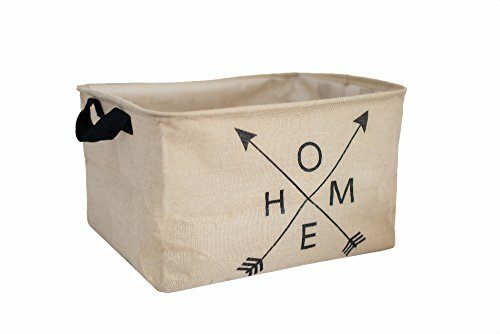 These farmhouse storage bins make a great gift for the farmhouse lover who is trying to incorporate different textures into their room. 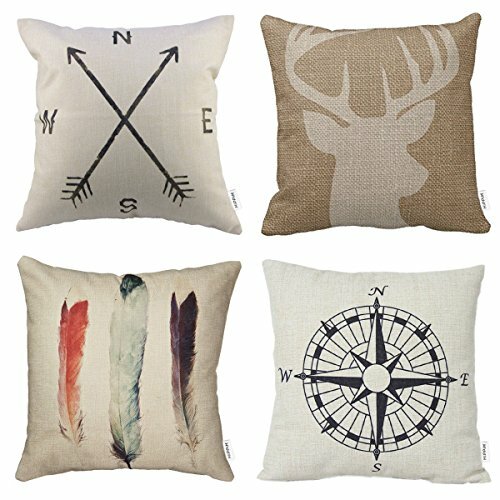 What farmhouse living space could possibly be complete without some rustic throw pillows? Pile them high and you have the perfect, comfy and farmhouse stylish hangout spot in the living room. Throw them on the floor as the family settles in for family board game night. An ideal gift for any farmhouse lover. There will always be dishes to be washed and dried – especially after a delicious home-cooked meal. 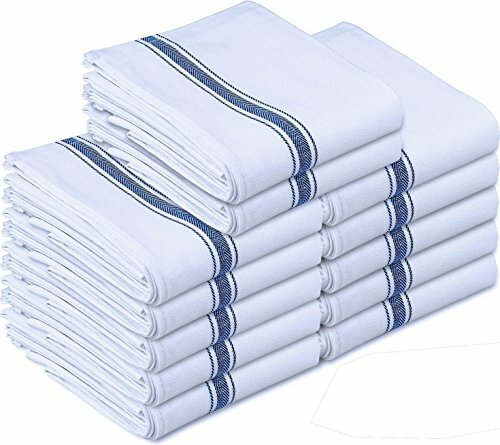 These kitchen towels are a fantastic gift idea. When the towels aren’t in use, they will look wonderful hanging in a farmhouse inspired kitchen! 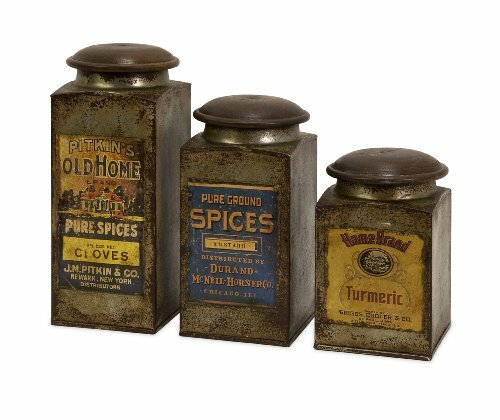 No farmhouse inspired look is complete without some rustic, old-fashioned canisters on the counter. 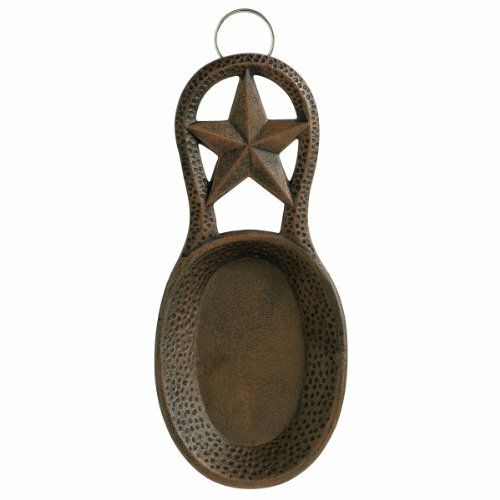 Perfect for holding tea, coffee and sugar – or anything else the farmhouse lover desires! If the farmhouse lover loves to host dinner parties then they will appreciate receiving this farmhouse gift idea! Isn’t loving a farmhouse partly because they love animals? Nature? This unique napkin holder will definitely be a conversation piece at the next dinner. We loved these canisters so much we had to include them as an ideal farmhouse gift idea. 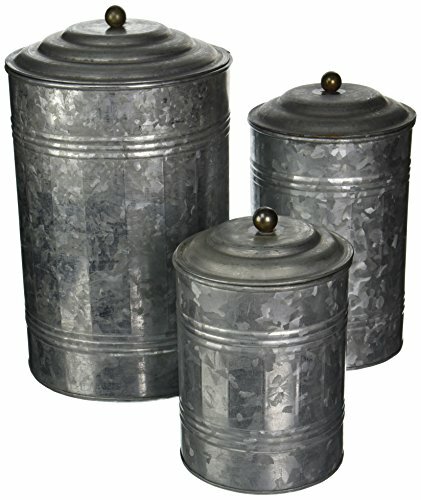 They’re a little more shabby chic than the other canisters we featured. So depending on what kind of farmhouse style the person is going for – these may be a better fit. 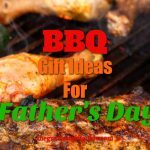 A perfect farmhouse gift idea for the person who loves the rustic, farmhouse look and enjoys cooking. A perfect spot to rest their spoon while they tend to other things in their farmhouse kitchen! We featured this rustic farmhouse wire wall storage for the kitchen because it’s perfect to keep fruit or mason jars filled with herbs and spices or perhaps even the mail. 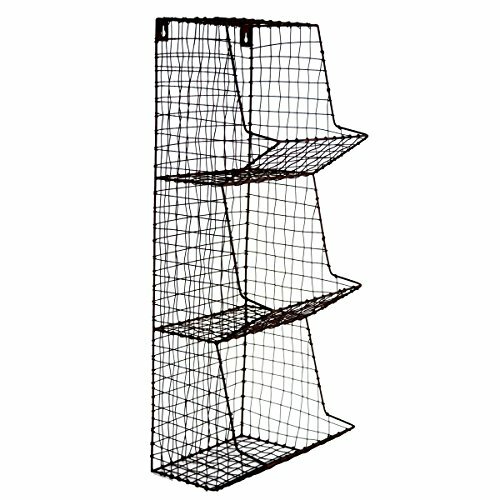 The wire provides a unique take on the same old storage bins. A definite farmhouse find. 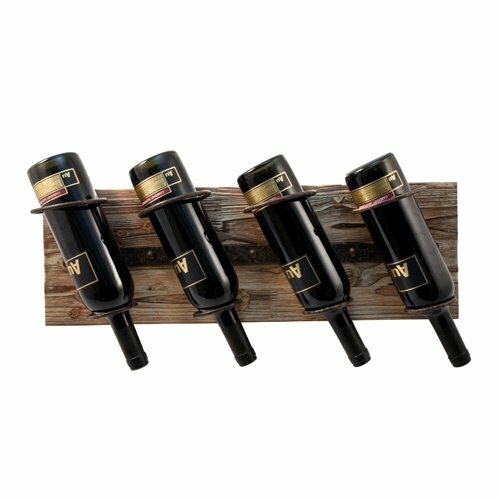 Who doesn’t love a good bottle of wine and we bet the farmhouse lover in your life will agree – this rustic wine holder is a perfect addition to any farmhouse inspired kitchen. And it doesn’t take up too much room! One of our favorite farmhouse gift ideas is this antique, distressed bedside clock! 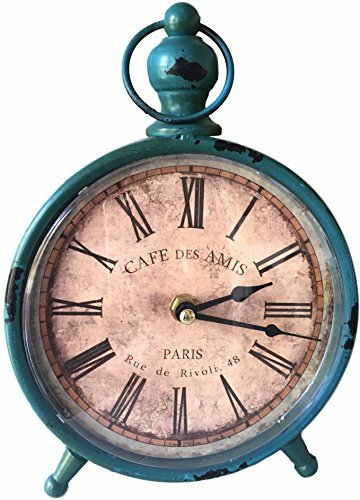 Anyone who is inspired by farmhouse decor will love this clock. It works both in the bedroom or living room. This rustic farmhouse inspired gift idea is one that will add relaxing scent to the bedroom. Perfect for mood setting or unwinding after a long day. Scented candle melts are added to create the scent desired. 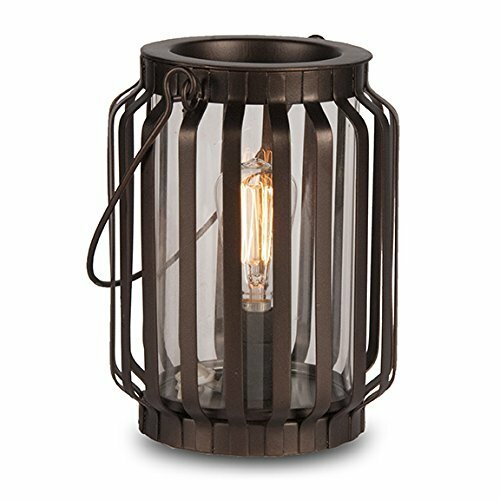 The rustic handle will remind the farmhouse lover of times gone by – lantern anyone? 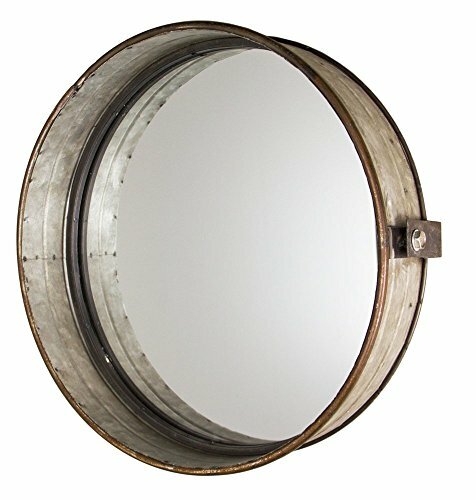 Rustic farmhouse mirrors are a stylish way to add the charm. This one is unique for sure. 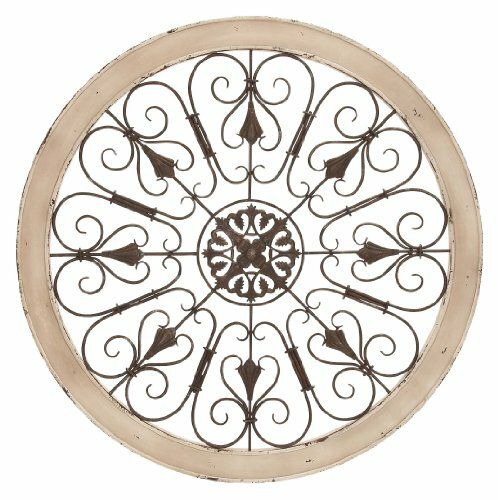 The circular style is ideal to have more than one mounted side by side to make an accent wall. And what better place to have mirrors than in the bedroom? 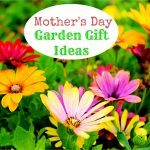 A wonderful farmhouse gift idea. 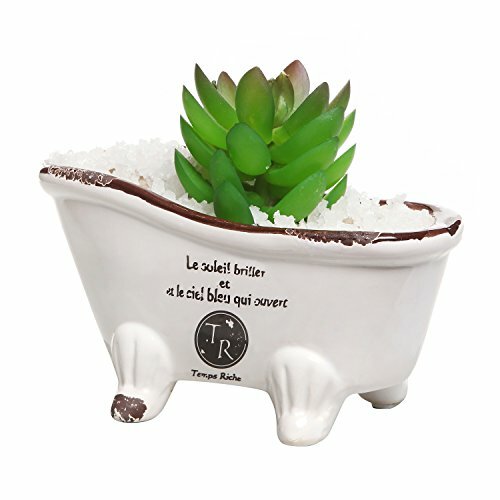 This claw foot tub planter is one of the more unique farmhouse gift ideas in this gift guide. And, truthfully, this super cute planter works in just about any room in the house but would look really good on a window sill or bedside table. Ideal for a succulent plant. A perfect knick-knack gift idea for the farmhouse lover. Every farmhouse lover needs a place to hang their clothes, hat or keys and these rustic hooks make an awesome farmhouse gift idea. 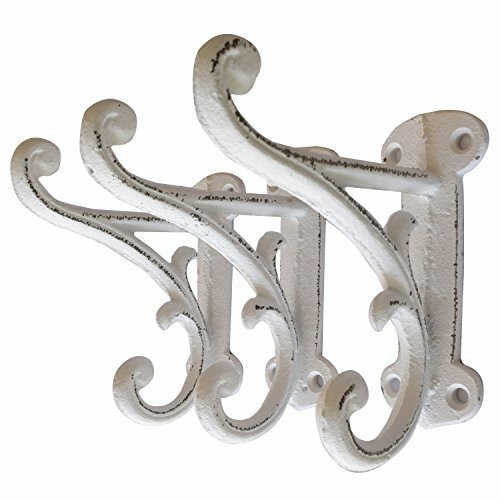 These rustic white, distressed, ornate hooks are perfect on the wall in a bedroom or front entryway. They provide that rustic feel and are a little detail the farmhouse lover may overlook. Wall decor is a necessity for completing the farmhouse look. 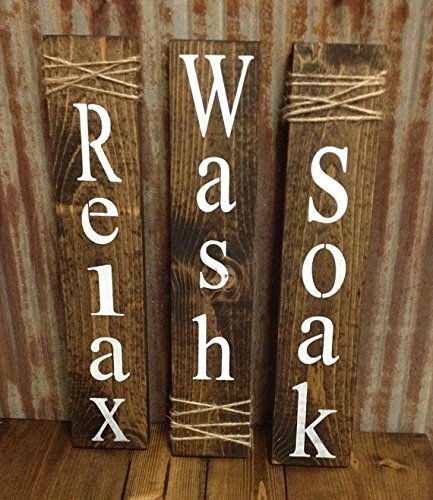 We were inspired to include our next farmhouse gift idea because the rustic wood signs are a perfect compliment to the farmhouse bathroom. They represent what the bathroom is made for – relaxing, washing and soaking. If the farmhouse lover in your life is looking for some rustic wall decor for their bathroom, they will be thrilled to receive these wood signs as a gift for any occasion. 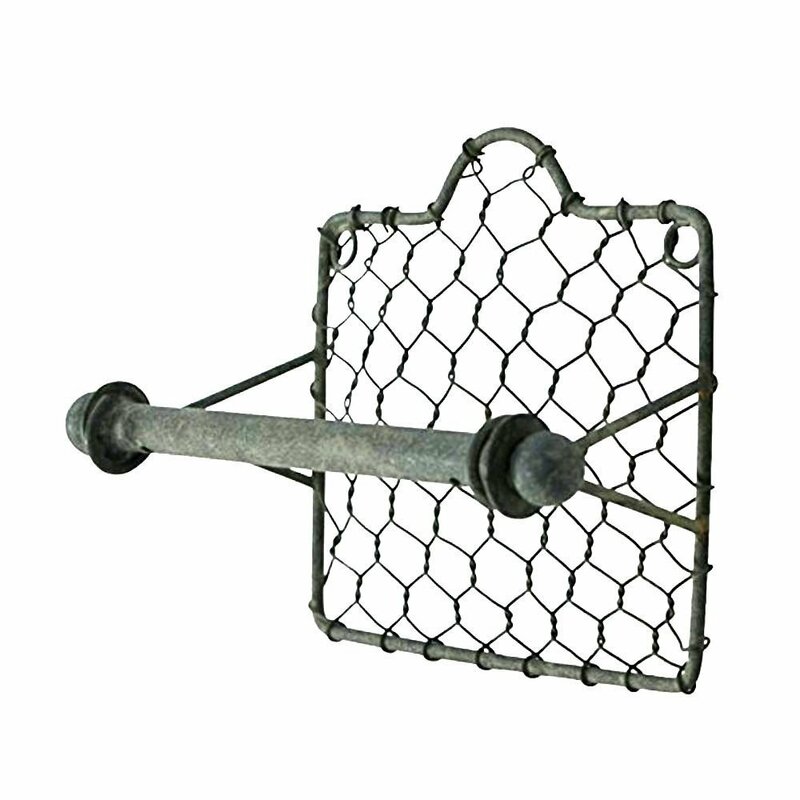 We know this chicken wire toilet paper holder is in the bathroom, but we’re sure it’ll be a conversation piece for anyone who uses the farmhouse lover’s bathroom. 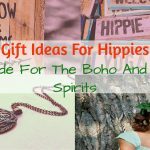 You cannot get a more unique farmhouse gift idea if you tried! 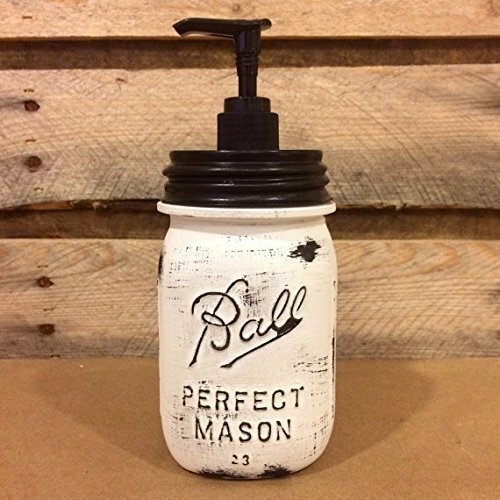 We love this mason jar soap dispenser because it’s a simple way to bring the rustic farmhouse feel to the bathroom. The best part? It’s handmade! Lightly distressed the soap dispenser is rustic with that good old farmhouse feel. A perfect farmhouse gift idea for the person trying to complete the look in the bathroom or kitchen! One of the best farmhouse gift ideas is getting something handmade. There’s something so special knowing the rustic piece was made with love. This rustic farmhouse bathroom shelf unit is the perfect compliment to a farmhouse bathroom. The farmhouse lover can add decor pieces or have a stylish place to keep bathroom accessories. 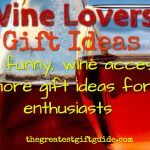 Want more Farmhouse Gift Ideas? Click Here.